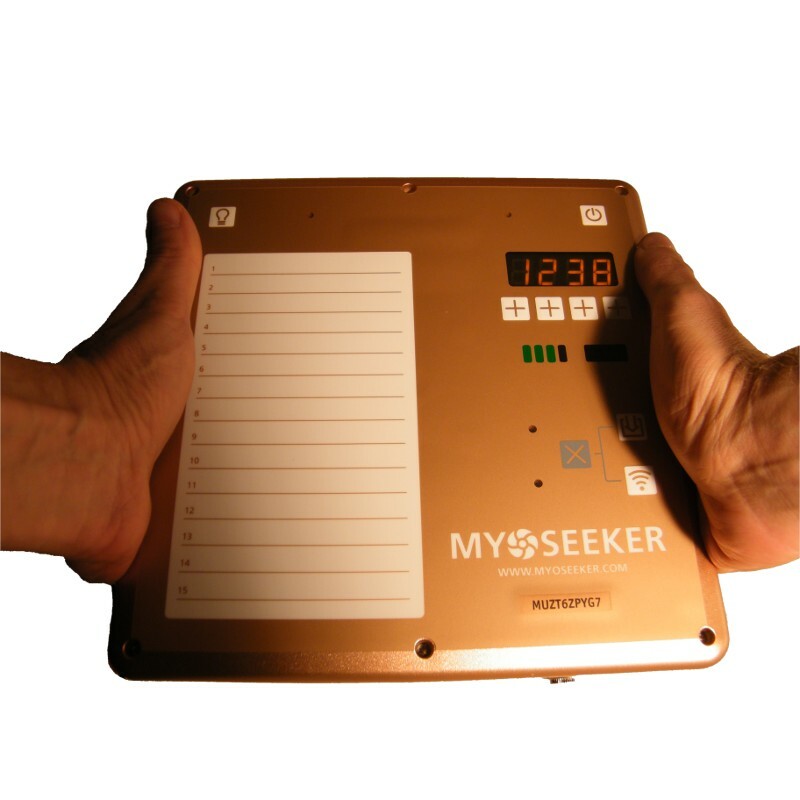 MyoSeeker finder is the device for searching of lost objects using MyoCards. It works on the principle of radio identification and that's why MyoCards does not need batteries! 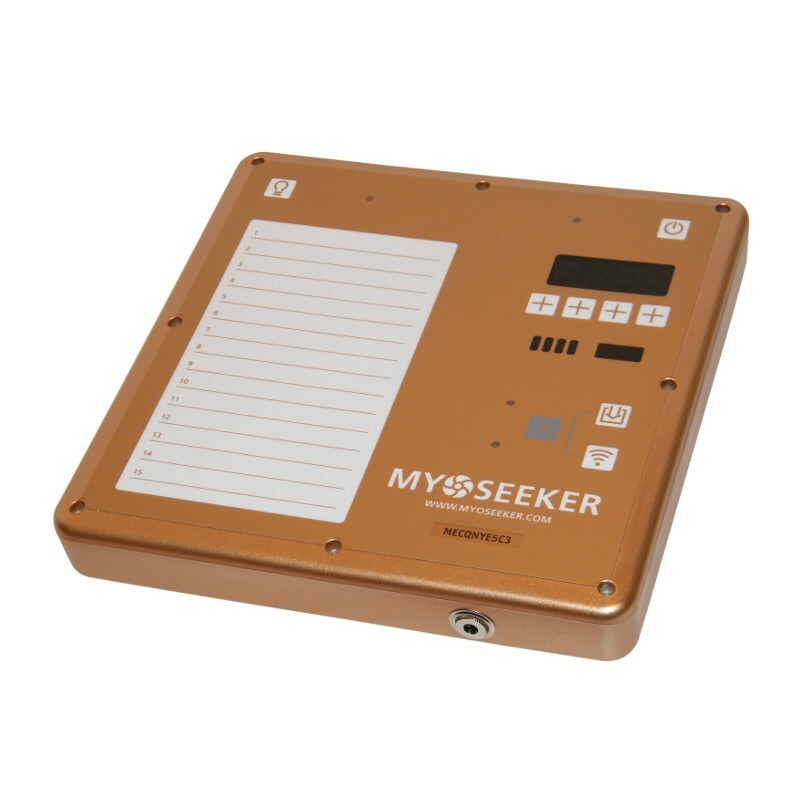 MyoSeeker can search the MyoCards to the distance of five meters. You can mark up to 3 960 MyoCards and find them with the device. MyoSeeker is usefull for searching of lost things. Did You loose wallet or passport? If you connected them with MyoCard, the device is cabable to find the MyoCard to the distance of five meters so you can easy find your lost things with it. Why did we develop the Myoseeker? Do You know that according to the Harper’s Index a 50 year old person have spent already one year of his/her life seeking for diverse objects? Not finding them is often a case. Today we have modern technology to help us with searching. This problem solves the MyoSeeker, high quality, technologically advanced, and well-designed tool for searching the objects, which will solve issues of forgetfulness. Using of MyoSeeker is pretty simple. You only need to attach a MyoCard included in this set, on object you wish to search, and MyoSeeker does it for you. 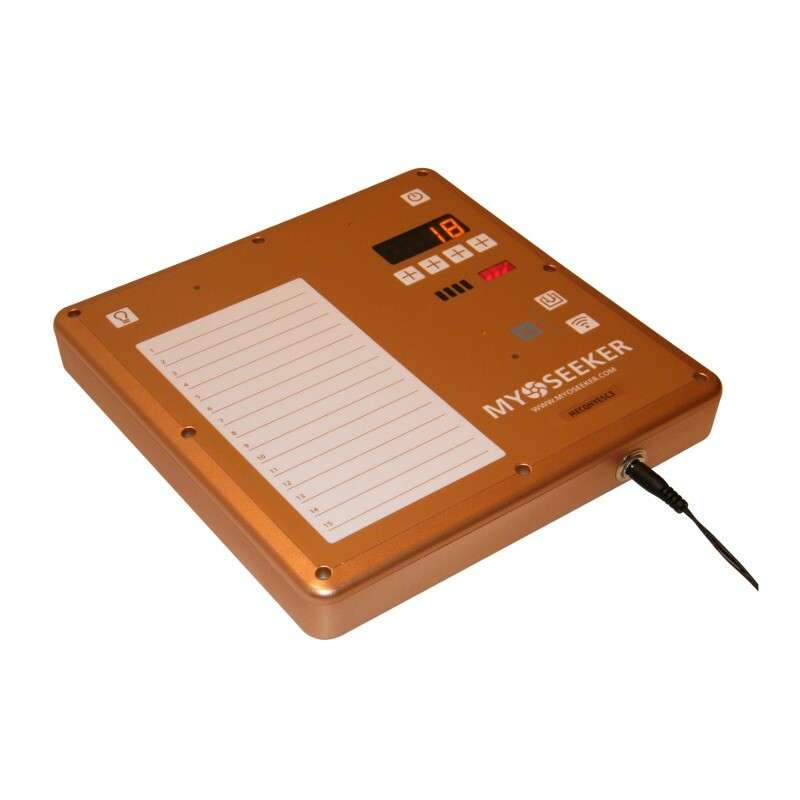 What substantially differentiates MyoSeeker from similar devices on the market is fact, that MyoCards are passive, means they don’t need any power supply. Other searching devices use for searching pendant, with inserted battery, which is attached to searched object. Battery lasts for some months till it discharges, and when user needs to find something afterwards, the device is of no use. You won’t face this kind of problem with MyoSeeker, since MyoCards are supply independent, and once you stick it to the object it may be searched and found for unlimited period of time. You can “tag” with MyoCards up to 3 960 objects for one device! One MyoSeeker will serve you for a lifetime. 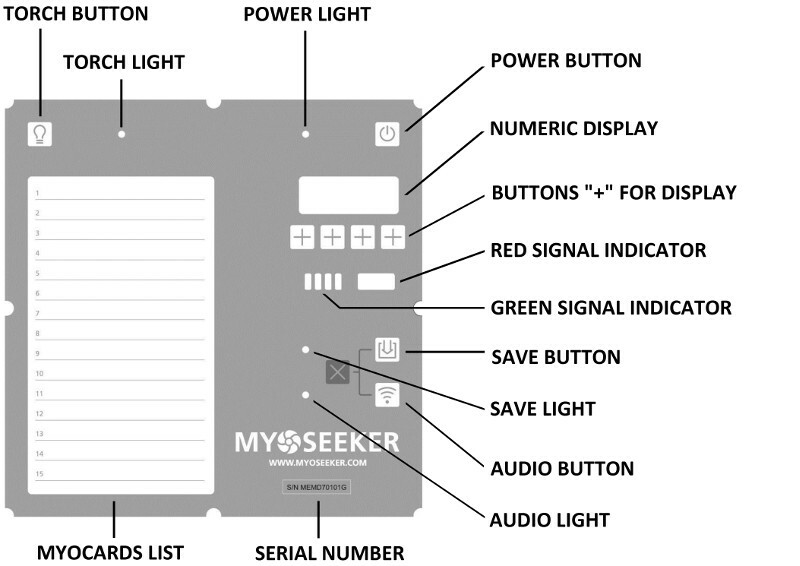 MyoSeeker is a valuable tool for a common man who may mislay or forget something here and there, as well as for people with higher degree of forgetfulness, with Alzheimer disease, multiple sclerosis disease, for those with having problems with orientation in space, for those with weak sight or for blind persons. The latter ones will find MyoSeeker very helpful tool. An essential part of the device are MyoCards, by which the MyoSeeker searaches for objects. 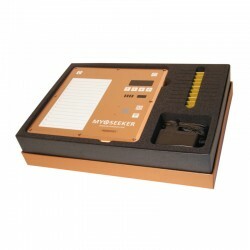 The device can memorize up to 3 960 MyoCards. 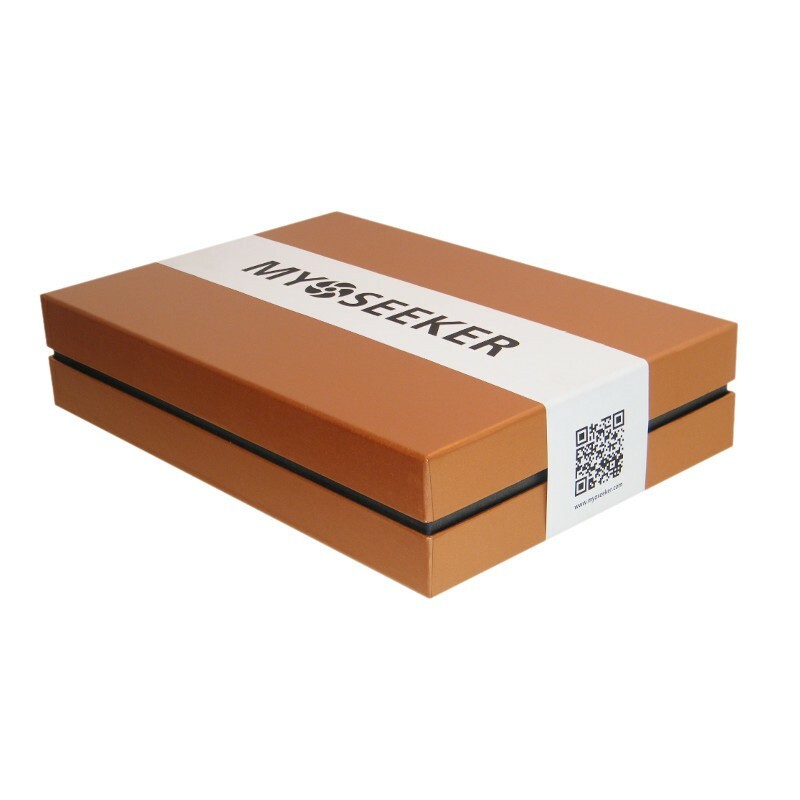 Both formats of MyoCards are included in the package of the MyoSeeker device. You can buy additional cards in the category accessories. And now the easy example how using MyoSeeker device you can easy search for the object which contains the MyoCard with the number 1. 1. take the MyoCard no.1 and stick it or place it onto object, which you can loose and you want it to search for, for instance purse, passport, wallet, book, CD, cassette, case of glasses, dental prosthesis box, etc. Important notice: it can’t be used for mobile phones. Now place the object, you want to search, within range of few meters from MyoSeeker. 2. Turn on the MyoSeeker by pressing POWER BUTTON in the upper right corner of Control Panel. POWER LIGHT turns on, NUMERIC DISPLAY shows 1 (which stands for no. of searched object), and RED SIGNAL INDICATOR lights up. Now you see the number of the searched object. The same way if you want to search for the object with different numbe of MyoCard, choose it using "+" buttons under the NUMERIC DISPLAY. 3. By pressing the TORCH BUTTON in the upper left corner of CONTROL PANEL, you may turn on the FRONTLIGHT of the device, which is useful when searching in dimness or dark. 4. Turn the CONTROL PANEL of the device towards you, and hold it from both sides with hands. Go towards the searched object, till GREEN SIGNAL INDICATOR appears, which means that object was found. 6. Turn off the device by pressing down POWER BUTTON at upper right corner for 3 seconds. You can use the same technique with other MyoCards in the package of the device. MyoCards that are included with the device are already paired with the device and to each of them was assigned the number 1 to 14. MyoCards, which you can additionally purchase, you need to pair with the device by selecting the available numerical position in the range 1-3 999. You use the SAVE BUTTON for it. - searching for a shorter distance (so-called "localization"), which is useful when the device already searched the MyoCard and it appears to be a few meters in front of the device. 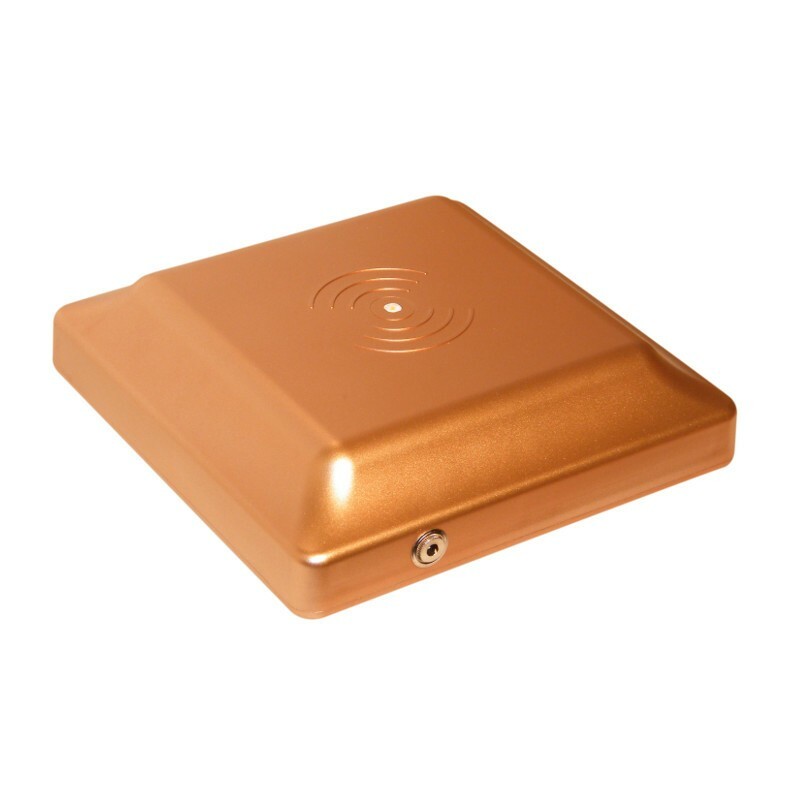 By reducing the search range you can locate the MyoCard with accuracy of about 20 cm. You can find detailed instructions in the User's manual, which you can find below on this page under "DOWNLOAD". We believe that our product intrigued you and we look forward to another satisfied customer. Fews days after buy it became my everyday tool. RECOMMEND!